The KSFO Morning Show, hosted by Brian Sussman, provides Bay Area Conservatives with up-to-date local and national news, traffic and weather updates every weekday morning on KSFO 560 AM. The program has featured many big name guests, including Conservative author/columnist Ann Coulter, former UN Ambassador John Bolton, Congressman Tom McClintock, musician/author Ted Nugent and actress/activist Janine Turner. After seven years as host of KSFO’s early evening program, Brian Sussman was named host of the station’s Morning Show. Sussman’s broadcasting career began at KCBJ-TV (now KMIZ-TV in Columbia, where he was the nation’s youngest television News Director. Sussman’s television career expanded into specializing in weather and the environment, which led to post-graduate studies in meteorology and a position as a weather person at KNTV and KPIX. Sussman has received numerous Emmy Awards, Associated Press Awards and Radio and Television News Director’s trophies for “Best Weathercast”. Founder of “Brian’s Kids,” which highlights foster children in need of adoption. Over 400 children were adopted as a result of “Brian’s Kids,” including Sussman’s own son. 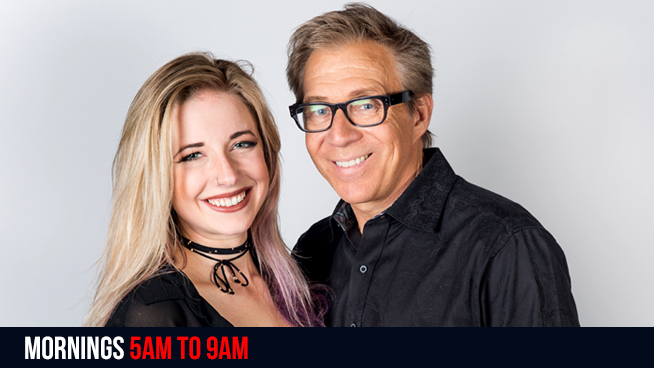 Katie Green, the newest addition to the KSFO Morning Show, was born and raised in Castro Valley, California. She is from a law enforcement household and an active member in Alameda County’s 100 Club. Green took her first steps into the radio world back in 2008, co-hosting the morning show on a local alternative rock station. In her free time, Green attends college, and is a photographer and “DJ Katie” on KOFY TV’s Dance Party! April 18: Brian has been tagged by YouTube AGAIN!!! April 17: GRAPHIC – Steel Rod Pierces Man’s SKULL and He Survives!